Experience the best of California meetings and events at the AAA Four Diamond Portola Hotel & Spa, located steps from Fisherman’s Wharf in the heart of downtown Monterey. A perfect coastal venue, welcome your guests in a modern tree-lined lobby, designed to reflect the best of California coastal luxury. 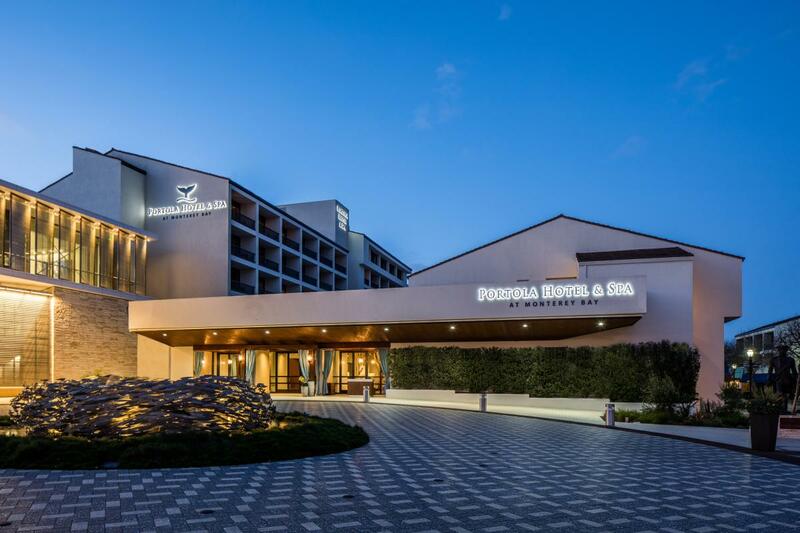 As one of California’s first, LEED® Certified hotels on the Central Coast; the Portola Hotel features 379 guest rooms and suites, and 60,000 square feet of indoor and outdoor, flexible meeting space with the adjacent, newly renovated, Monterey Conference Center. As the region’s largest and most diverse conference facility, the Portola Hotel can accommodate groups and events of all sizes including small and large conferences, board meetings, product launches, galas, and celebratory functions just to name a few. Portola features a dedicated 1 Gigabit (Gbps) Internet connection and our own on-site dedicated Event Technology staff, along with a seasoned sales, catering and convention services team. Home to an award-winning day spa, 24-hour fitness center, four on-site dining experiences including a craft brewery and Peet’s Coffee, the Portola Hotel has just finished building an expansive new terrace with fire pits and living walls for outdoor dining and events. Portola's central location is ideal for guests to walk to beaches, coastal recreation trails, shops, tasting rooms, galleries, and more.